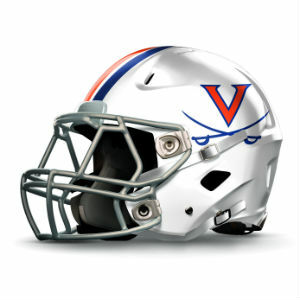 Six members of the UVA football team have been named to the 2018 Atlantic Coast Conference All-Academic Football Team, as announced by league commissioner John Swofford. It marks the third time in four seasons that UVA has had six All-ACC Academic honorees. UVA also had six recipients in 2015 and 2017. Tight end Evan Butts (Sr., Springfield, Pa., higher education), punter Lester Coleman (Sr., Martinsville, Va., public policy), linebacker Jordan Mack (Jr., Lithonia, Ga., youth and social innovation) and center Dillon Reinkensmeyer (So., Highland Ranch, Colo., global studies) all have been named to the ACC All-Academic team for the second year in a row. Marcus Applefield (Sr., Weeki Wachee, Fla., educational psychology) and Joe Reed (Jr., Charlotte Court House, Va., American studies) also were named to the ACC All-Academic team. It is the first career honor for both of them. Applefield, Butts and Coleman all graduated last May and were doing graduate work during the 2018 season. Applefield earned his undergraduate degree at Rutgers where he was a three-time Academic All-Big Ten selection. The ACC has selected an ACC All-Academic Team every year since 1954, and with the addition of the six Cavaliers, UVA has had 230 student-athletes earn such honors since the inception of the award.